Ubuntu is a global professional development team to build the operating system. It contains all the applications you need: Browser, Office suite, multimedia programs, instant messaging and so on. Ubuntu is an open source alternative to Windows and Office products. Because of its excellent open-source community environment, as well as the relative area of the desktop operating system, superior performance, Ubuntu is the most talked open source operating system. FreeBSD is an advanced operating system, its support for x86 compatible (including Pentium ® and Athlon ™), amd64 compatible (including Opteron ™, Athlon ™ 64 and EM64T), ARM, IA-64, PC-98 and UltraSPARC ® architectures. FreeBSD derived from BSD-University of California, Berkeley version of UNIX ® developed its volunteers from around the world the development and maintenance. According to the latest Global 500 list of Super Computers, 427 Super Computer run Linux operating system. 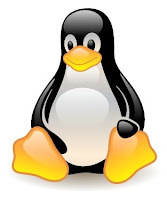 Linux Operating System is in the Number 1 position and its share is 85.4%. These Super Computers are equipped with a total of 1,408,054 processors. Unix operating system is in the 2nd Number, there are 25 Super computer running the software, share of 5%, a total of 73174 processor. Only 5 Super Computer runs Microsoft Windows Systems. Microsoft Windows System is in the 3rd position and share only 1%, a total of 25472 processor. Mac Operating System is in the 4th position, only two Super Computers using the software; its share is only 0.4%, a total of 5272 processors. Oracle Audit Vault 10.2.3.2 a comprehensive version in order to help businesses protect all corporate databases and meet regulatory requirements. The latest version of Oracle Audit Vault introduces important, new reporting and alarm functions, simplifying the database audit process, and reduce the cost of the audit process. Sun Oracle Database Machine jointly developed by Sun and Oracle, the world's fastest data warehousing and online transaction processing (OLTP) machine in the data warehouse, which runs twice as fast as the first edition. As the world's fastest OLTP machine Sun Oracle database machine, with a high random I / O performance, but its scope of application beyond the field of data warehousing, by increasing the technology-based Sun FlashFire the Exadata Smart Flash Cache, for on-line transaction processing (OLTP) to provide excellent performance and strong scalability. Touch technology from the earliest single-point touch (at the same time only a point of touch sensor signals) to develop to a multi-point touch (at the same time can be multiple points of touch sensor signals), and now has been used extensively for high-end smart phones and flat-panel computer.Part-in-one desktop also used to change technology.The greatest feature is the touch-control technology, intuitive, fast, greatly enhanced the efficiency of human-computer interaction. Although the backup Oracle database may be time-consuming, but the fear of loss than the transaction, revenue loss and customer dissatisfaction, this time-consuming and the insignificant. Therefore, the backup Oracle database in today is becoming a backup / storage administrator can do the most important task. Users can look at a few common Oracle backup problems. First of all, back up the Oracle database, including not only the physical data backup (a copy of the database files), but also the backup logical data --- data with the SQL command to export and in the redo log files in the cache that has been submitted and not submitted changes. When the oracle database failure, the need to restore the relevant database files. Recovery operations need to use the redo data will be updated to a new backup point in time, and the database transaction does not roll back to a consistent state before its error-free. SAP and Oracle in the enterprise software market, the battle has been the IT industry, one of the most fiery of the competition, although the struggle between them has also increased by less than the height of popular culture, as, such as Red Sox and the Yankees, or Coca-Cola and Pepsi do, but it always makes people talked about. The two companies growing in the struggle with the current situation is that the two companies are large, this is not only reflected in the revenue, customer base and market reach, and their number of employees is also a bit scary. Oracle should now have 83366 employees, they wore red uniforms, swear allegiance to Larry Ellison. SAP, a company in the recent statistics reported by 47804 employees, might be the time to meet them with a simple German exchanged greetings. 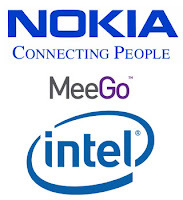 Nokia and Intel announced to create a new Linux-based operating system MeeGo. 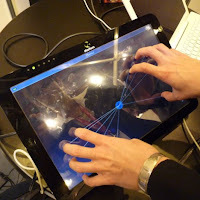 MeeGo integration of Nokia's Maemo, and Intel's Moblin two Linux computing environment, specifically for access to this and smart mobile phones and other portable equipment design, can be used for vehicles and TV Internet access and other non-desktop platform. The two companies together eye-catching, not only because of MeeGo to integrate the two into a Linux platform, under the eaves, but also because the operating system, cross-platform support for Intel and ARM chips.